I’m afraid of messing this up. That’s the thought running through my mind as I recline in the bed next to my daughter, who catapults hard questions into the inky hollowness above us. I can’t see her tears, but I can hear them. It’s the way her tiny voice wobbles and squeaks. I reach along my side, to find her hand in the dark. I let out my breath in one steady stream, into the quiet above her polka-dotted comforter, begging silently for some shred of inspiration that I can offer to a 10-year-old girl who is asking the hardest questions. Truth is, I’ve uttered the same questions in those moments when my prayers boomeranged back without the answers I begged for. I’ve pounded my fists into armchairs and bed-pillows and the carpet when God hasn’t acted the way I wanted him to. I keep caressing that soft cheek. And we let the answers hang there awhile. Sweet, because this is what I’ve always wanted: honest exchanges about faith with my two daughters. I’ve never wanted them to be ashamed of their questions, or to feel the need to sugar-coat their feelings, or to shellac their ache with cliches´. I’ve only wanted them to be gut-level honest with a God who knows what they’re feeling anyway. * One of our daughters’ young friends recently died. * A young Haitian boy we love has been very ill.
* And in two days, Lydia will return to the operating room. Back in April, she had a skin-graft to cover a hole in her eardrum. The surgery failed. And she’s scared to go back. Here in the dark, she reminds me how we had prayed together, right here in this bed, for a successful surgery. Did God not hear those prayers? That’s the question she wants the unvarnished answer to. And what about when Jesus said that whatever we ask in prayer, if we believe, we will receive? In moments like these, I freeze on the inside, and I become self-focused enough to think that my words will make or break something. Like, if I say the right or wrong thing, she’ll gain — or lose — another ounce of confidence in her Father. As if it were entirely up to me. I am only beginning to learn that it might be OK to whisper a raspy “I don’t know” into the dark. (Especially in these moments when I actually don’t know.) And I’m beginning to wonder if every “I don’t know” carries more light into the dark places than the clichéd answers I’ve picked up along the way. I’ve also learned to embrace the doubts, because – odd as it might seem – they’ve been the starting blocks in my own race for truth. Many years ago, at a point when I was crippled by doubt, I highlighted these words in my study Bible: “Silent doubts rarely find answers.” Back then, I had just begun to ask questions of myself, and of God. In that exchange, God and I began to develop a relationship of trust. I came to understand that God wouldn’t ostracize or punish me for my questions. Instead, He has been a patient friend, continually keeping the door open for more conversation. I’ve also learned to invest valuable time looking in the rear-view mirror of my life, reflecting back to see where God’s hand was working all along in places I couldn’t see when my present pain clouded my vision. Lydia’s surgery? Tonight, it feels like Mystery File material. But in three days? It might make total sense. We’ll have to wait and see. That’s what I tell my daughter in the dark. 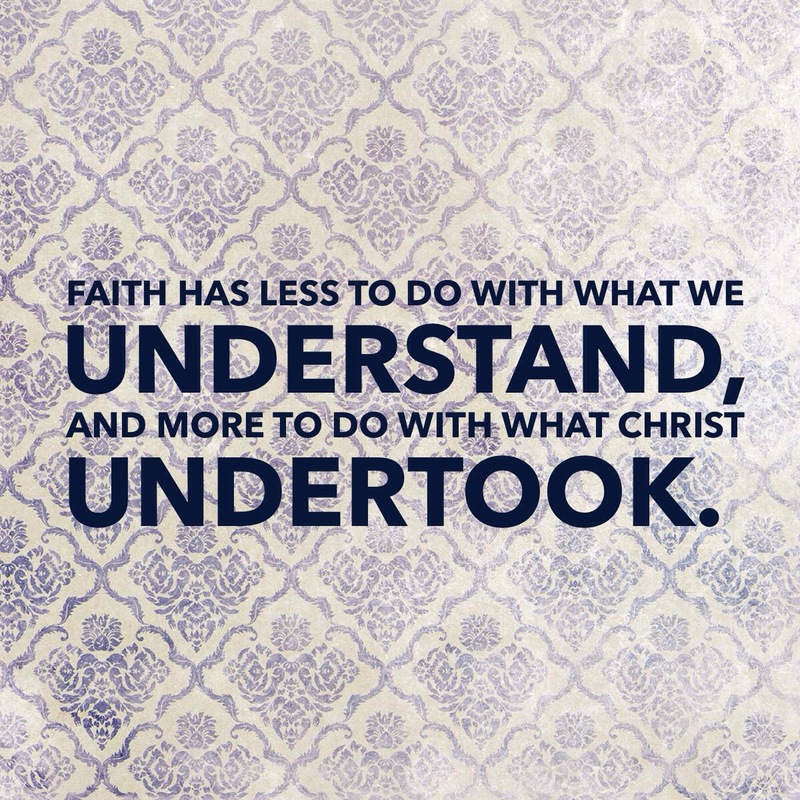 Lydia and I are learning that faith has less to do with what we understand, and more to do with what Jesus Christ undertook. Indeed, personal suffering can lead the thoughts of a believing child and her mama back to a Savior who fully grasped pain at its most unfathomable level. And that part? I do understand. Even if it’s just a small beginning, a little light, enough to see in the dark. And I think Lydia understands, too – that if Jesus loved us enough to die for us, He won’t abandon us in the middle of our toughest questions. We say our prayers, and I kiss her goodnight, and we know that even if we don’t have answers when the sun rises tomorrow, we will still have a trustworthy God. by Jenny Lee Sulpizio. Used with permission. 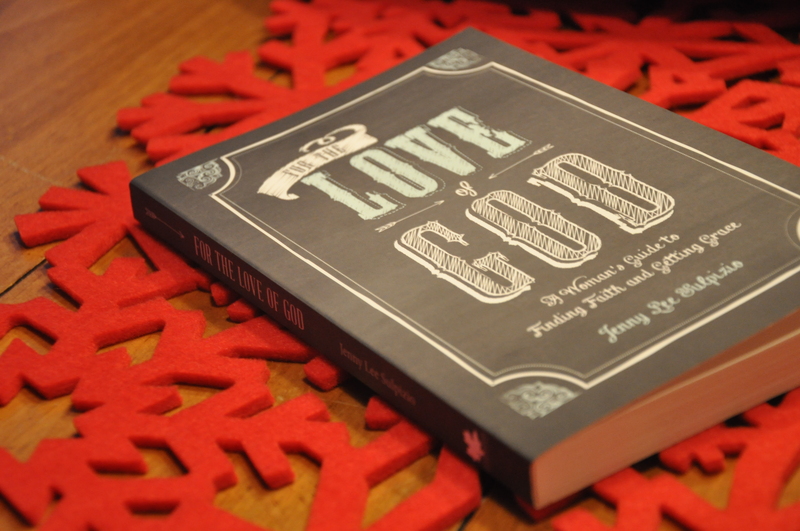 The book is a fresh guide to finding faith. 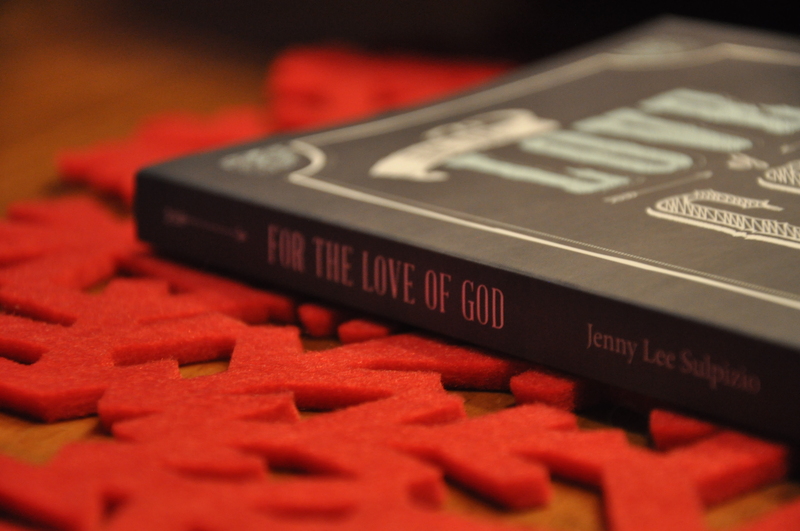 This is the book for any woman who is new to the faith, or for anyone interesting in pursuing a relationship with God. I am thrilled to have today’s blog post published in this new book. For a chance to win this book, enter using the Rafflecopter below (Email subscribers click here to enter.) I will draw THREE WINNERS on Saturday and notify the winners by email. I have been struggling with my relationship with God. I would appreciate the opportunity to read this book. This post really met me in the middle of my own hard questions. Thank you for faithfully providing these consistent reminders and assurance of how much He loves us and is good to us. It is much needed refreshment and truth when lies tend to scream in our faces all day long. Thanks again for being a willing vessel for Jesus! Your ministry makes a beautiful difference in the world and in my life personally! Those are hard questions, but grace lies in your honest answer momma. Sometimes the best answer we have is, “I don’t know.” And so we offer our fear, doubts and questions to God instead of our pride because we know all the answers. I love that you have been given the gift of these faith based conversations with your daughter. I can see you both are blessed by this. When my sons were growing up, I did not initiate conversations asking the hard questions about God and the big “whys” in life. I am blessed now to have these conversations with my grown sons. Thank you for the reminder that it might all become clear when we look in reverse. I love that you have been able to have these conversations with your girls. They truly are the conversations we moms always hold dear in our hearts. Such a hard & heartfelt question. “Faith” was my one word for this year & has proven to be a most challenging & difficult word 🙂 I so loved this —> “Faith has less to do with what we understand, and more to do with what Christ undertook.” AMEN! & thank you for sharing this today! Blessings! Such hard questions, but it’s so good to talk them out. God is biger than our questions. We have a friend right now who has gone through so much heartache it’s unbelievable, and it’s been hard for my daughter to grasp. I can definitely relate to this post. Faith is about what He’s already done for us! Oh friend, how glad I am that you write with such transparency, even about the I-don’t-know moments of parenting. Truthfully, that’s what I’m most afraid of as my daughter grows up, but you’re right: it’s prideful to think my answers will make or break her budding faith in God. He is bigger than my insecurities and He will be faithful to His work in her, even as He is to me. Such a beautiful post. So honored to have you in this book, Jennifer. Hugs! Thank you for the opportunity to share, Jenny. I pray that your book is an encouragement to many women. A beautiful story, Jennifer, all the more powerful because it’s real and from your heart. You bless so many with your words of faith. Blessings. I’m glad it blessed you, June. And I’m glad you’re a part of the #TellHisStory community of writers. Yeah, I love that Yancey quote too. I’ve quoted a few times around here. It sticks. I am reminded of my son’s voice just last week, asking the same questions. Yes, I give ‘I don’t knows’ back too. Bless you, Jennifer, as you show your daughters how to cling to God in our weakness and His strength. I so appreciate your beautiful wisdom and encouragement here and would love this book! Hi Jennifer, Thank you for your encouragement today! Grateful for your heart that hears, and your hands that hold. I’ve visited this blog SO many times but just linked-up for the first time today. I have bilateral hearing-loss and a “hole” in my right eardrum. I have not been offered the procedure your daughter is undergoing in a few days because my hearing is incredibly unstable at the moment. I am praying for the both of you. I know how hard these procedures can be on both kids and adults (I have a child with bilateral hearing-loss as well). Love your blog. Love your message. Dreams are coming true here everyday. Of course I would love to win! Thank you for sharing this beautiful post. It’s so important to keep it real with our children–to let them know that it’s ok to ‘save up questions for heaven’. What a blessing to have such open-hearted talks with your daughter! I loved reading this. And I especially loved this line – “Faith has less to do with what we understand, and more to do with what Jesus Christ undertook.” Beautiful. Thank you, Jennifer. Goodness yes and Amen. Powerful book trailer. Beautifully touching story. So on board. Yes, yes, and amen again. I really loved this excerpt from the book! My son and i are learning together how to discuss God and prayers and I think this would be an amazing book to help facilitate. Such a moving story too. Today’s blog was so timely there is no doubt our Lord is watching from above. I just emailed a dear young friend who has Chiari disease. Her daughter was diagnosed first and then she found out that the same issue was the cause of her own pain for many years. She has such a following of friends through this disease as their are very few doctors around the world that will do a brain compression. She hares when she can on a blog also, and is writing a book to try and help others with the process of this illness. She just found out one of her sisters has the same issue also. The book give-away is wonderful and like others, it would be a wonderful addition to my collection; in fact it may be one of the suggestions I make for our next book club reading. But more than anything I would ask that anyone reading this pray for my friend Monica Snyder. Be blessed! It hasn’t been that long ago that I was mad at God and pretty sure that he had abandoned me. I’d love to read this book. Your tender vulnerability gets me every time, my friend. Just yesterday I wrote in my journal, while studying Genesis 37, “I need to remember to look at my future with hindsight.” Needless to say, your words have confirmed this message for the season I am in. I wish I could hug you and your precious girls! Sounds like a wonderful and needed book, Jennifer, and I”m glad that this story is in it. I was touched when I first read it–deeply touched. The Cross. Jesus’ suffering. Whenever I don’t understand the whys of suffering or why He has allowed it, I realize all that He did on the Cross far supercedes it, and that it is the most tangible proof possible that He loves us. 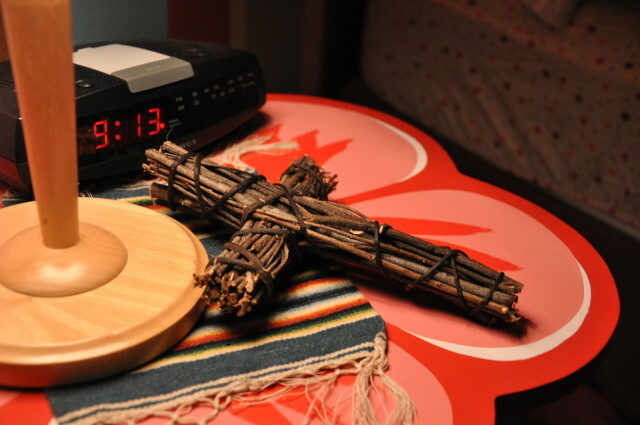 He welcomes our questions, our doubts, our angst…..and yet, if He seems silent, one glance at the Cross, speaks love in the loudest, most profound, most immediate way possible…..and it suffices. Love that girl of yours and how she asks, how you listen and offer, and ulitimately how Jesus answers. I would love a chance to win! I’m always looking for encouraging books to read! I know the perfect person who could benefit greatly from this book! She is definitely going through a season of Job and lots of prayers that seem to be unanswered. Should I win, I will definitely give it to her! (I may have to read it first myself though!) Blessings to you Jennifer! Love this. I just wish I could bless all of you with a free copy!!! How amazing would that be?!!! Bless you, Kelly! Love this. I just wish I could bless all of you with a free copy!!! How amazing would that be?!!! Bless you Kelly! I would love to win this book. I have a friend that could benefit from it. So much wisdom here…I am learning these lessons on faith, too; at times it is very hard and painful but like you say– it will make sense in reverse. Trusting Jesus for it all! Bless you! Thank you for the offer at a giveaway and for your faithful pouring out of your life to us ladies out here. I love your Love Idol book, and many copies of it now sit on my shelf (by my stack of 1000 Gifts Books) to give away as the “right” ladies come into my life. Such a moving essay, Jennifer, it brought tears to my eyes. I would love to read this book! Blessings! Beautiful essay that reflects your beautiful heart. I would love an opportunity to read the book! This essay is an absolute gem. Thank you so much. This sounds like a great book that I would give to my 24 year old daughter…needs Christ in her life as we all do! Hope I win! This book sounds wonderful!! A great gift this Christmas!! When I recommitted to Jesus a few years ago, I told Him this time it’s gotta be real. Thank-you for confirming how so very important it is to just be real! And like you, my doubts have taken me into some amazing revelations. Jennifer – Your essay spoke truth into my life. Our 11-year-old son has been dealing with a lot of those same “why” questions. We’ve spent many moments in a dark room holding him close and whispering God’s promises of love – no matter what. I know God considers me worthy to raise up this little life on His behalf, but boy oh boy, does it stretch the boundaries of my heart. Thank you for sharing yours. Thank you for sharing such beautiful words thru your books trailer!! I would love to have a chance to win his encouraging book, but I lay it on the hands of Jesus that these three books would go to the ones He and only He needs them to read it. That he words in this book have purpose for and speak to. So I leave this prayer for those that win this book that your eyes will be open to the grace that Jesus has laid out for you in the pages of this book!! May His loving grace be filling to all those that read this book. Thank you again for sharing your heart on the pages of your book!! May His grace be filling to you as well! This book is just perfect for a friend who is searching for meaning in her life. I feel that we need to also engage others to give them information that will spark their interest in the things of God. This looks like a great book for many of my friends and me too! Sounds like a lovely book. And your words Jennifer, always beautiful. I am learning to be more and more real with my children. It’s never too late. Blessings. I seriously would love to win this book!!! My post this week is also about children and their questions. I think listening and loving is more powerful than knowing all the right answers. Love your idea of the Mystery File, Jennifer. We shouldn’t dismiss our questions as if throwing them away. Every question should be preserved, because who knows? The day may come when a question can be moved from the Mystery File to the Miracle File! And those days are truly euphoric. 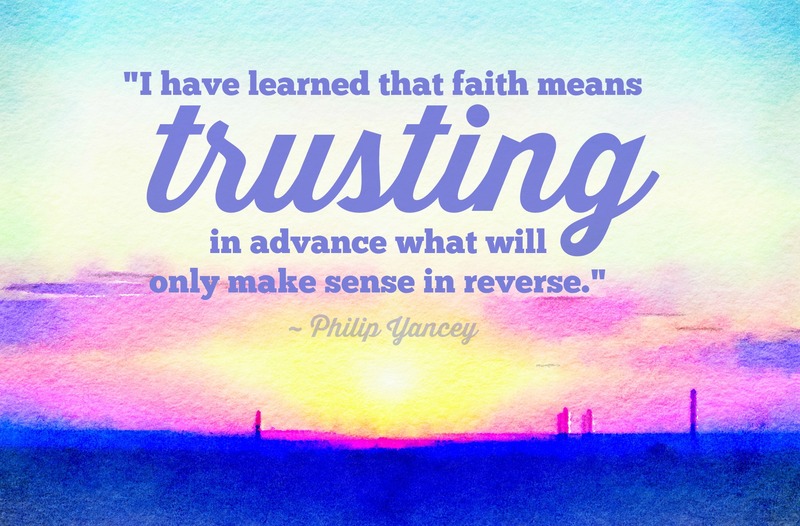 Also love the Philip Yancey quote–an encouragement to wait, to persevere, and to believe. The Philip Yancey quote! I needed that today. I’m shouting and praying and wondering and sobbing… it’s been a busy week, here. But someday, someday I’ll understand all this pain. That’s what I’m trusting.